Ok ladies, let’s talk. Money is often a taboo subject, and while many of us quietly worry about our families’ financial future or struggle with making ends meet, we tend to keep our fears and struggles quiet. It may be that many of us “good Christian women" think that talking about financial issues or working towards certain financial goals is unspiritual and shows our lack of trust and dependence on God. It may be that some have become slaves to unhealthy or destructive money habits, and the thought of exposing those or giving those up is just unbearable. Or, it may be that some of us have come to a conclusion that money matters are not for us to worry about, and we have abdicated all financial issues (except for grocery shopping and paying the bills) to our spouses. Wherever you find yourself today, I hope you’ll keep reading. The reason why I wanted to have this conversation with you is because there are troubling trends emerging for women, especially in the area of finances, that if ignored for too long, may cause our families (and ourselves) unnecessary pain. If you’re worried about finances not being “heavenly” enough of a topic, let me assure you, God’s word has plenty to say about money management and mismanagement, and it references that subject more than 2,000 times! So if it was important enough for our Heavenly Father to shed so much light on the issue, we should pay attention! Prepare for a longer lifespan. Data shows that women outlive their male counterparts by quite a few years. Average age expectancy for women is 81 while the average age expectancy for men is 73. This is both good and bad news. While we can enjoy a longer lifespan, we are financially unprepared for the years to come. Accord to statisticbrain, 52% of women will have to work past their retirement age in order to make ends meet. Did you know that 87% of impoverished elderly are actually women? These stats are disturbing, but they are not hopeless. 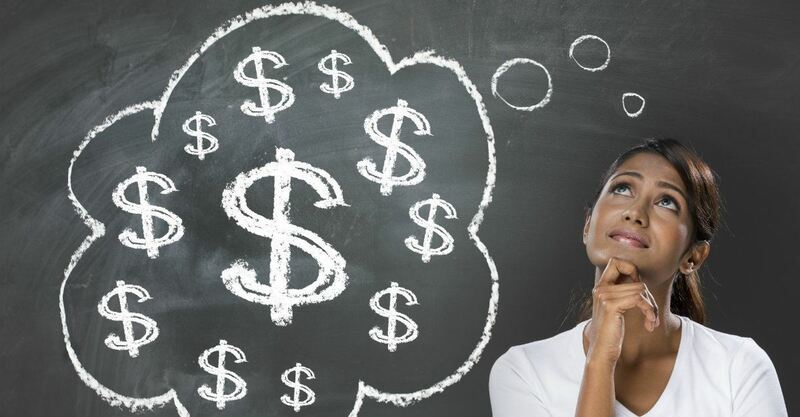 The good news is that more and more women are starting to realize how important their financial awareness and financial education is, and they are seeking financial wisdom and knowledge at increased rates. So what practical steps can you take to become better prepared for the years to come? Follow the example of the ant! Proverbs 6 tells us to be like the ant that “stores its provisions in summer and gathers its food at harvest.” Storing financial resources doesn’t demonstrate lack of faith in God. On the contrary, it’s a sign of wisdom and obedience! The reason why the ant is storing in the summer is because it knows that the winter season is coming! Most of us will face the “winter” season of life, and it’s our responsibility to be prudent and prepared! If you’re married, talk to your spouse about preparing for the future and become informed and intimately involved in your family’s long-term savings plan. Set common goals and work on meeting those goals together. Use free online budgeting tools as well as online calculators to figure out how much cash you’ll need to have set aside for your retirement years. Being aware of the future needs will help you put together a plan you can follow on monthly basis. If you do this, you’ll be ahead of the 60% of women who have absolutely no idea how much they’ll need in order to retire. According to CareOne more middle- and upper-income women are incurring debt at alarming rates than lower income women. It’s no secret that excess debt has been the main culprit of marital and financial breakdowns. 54% of women have no money left after paying monthly bills, not to mention having extra resources to set aside for the future. Ladies, let’s make debt repayment and debt-free future a priority! It won’t happen overnight, but once you put steps in place and start executing on your plan, every dollar of debt you’re able to eliminate is another dollar you’ll be able to set aside for your future needs. Eliminate consumer debts FIRST since these usually carry the highest interest rates. Many of you will have to “break up” with your plastic friends for good. A little pain and discomfort today will pay off big time in the future. No more car payments! Sacrificing your future for the sake of a nice vehicle today is silly and irresponsible. If you have a high car payment, consider trading your ride in for something that’s reliable, much lower in monthly payment and something you can pay off quickly and be done with! Eliminate your house payment. This will take some time, but plan to own your home outright by the time or before you hit retirement age. This will dramatically reduce your need for income; and will create more financial options. Be aware that women breadwinners are on the rise. Data shows that, due to various factors, the number of women who are sole breadwinners for their families is on the rise. Pew Research Center shows that four in 10 American households with children 18 years and younger include a mother who is either the sole or primary income earner. This being said, most women are not properly insured for the future. With the number of single mothers on a fast incline, women should start thinking about having sufficient protection for their children. Consider term life insurance. Life insurance should never be looked at as complete protection or provision, but it should be a part of your overall financial preparedness plan, especially if you are the primary or sole breadwinner for your family. If you are in good physical shape, decent coverage can be obtained for less than $20/month. Long-term care insurance. With the cost of long-term healthcare on the rise, it’s prudent to look at long-term care insurance to help cover future nursing care needs. This is especially important for women; since we do tend to outlive our spouses! So, ladies, it’s time we step up and become informed, aware and active in our families’ financial future planning. It will not only give us greater peace of mind today, but it will also make us better prepared to face the future. I’ll leave you with this Proverb: “A prudent person foresees danger and takes precautions. The simpleton goes blindly on and suffers the consequences” (Proverbs 27:12).